Ah, the ongoing quest to find great $20 Pinot Noir. You know what? I think it's gotten a little easier lately. When I first tried the 2008 Belle Glos Meiomi Pinot Noir (pronounced BELL GLOSS MAY-OH-MEE) at The Capital Grille Burlington by the glass I liked it. When I cracked this open for pizza night recently I loved it. 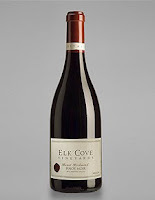 The wine is a blend of Pinot Noir grapes from Sonoma, Monterey and Santa Barbara counties. What I liked about it was that it was so rich and satisfying while offering layers of complexity. Even a little bit of earth which I find is rare in California Pinot Noir. Quite an accomplishment at this price point (available for right around $20 if you look around). The Belle Glos brand is part of the Caymus family that includes their flagship/excellent/consistent Cabernet Sauvignon, delicious Conundrum white blend, and Mer Soleil Chardonnay. It's an interesting approach fragmenting their line-up into distinct brands but you can't argue with the results. The Wagner family has quite a stable of excellent brands at this point. Here's an excellent summary of the Wagner family and their brands from winereviewonline.com. For what this wine is, and by that I mean a luscious fruit-forward full-bodied CA Pinot Noir that will absolutely please a crowd, it is near-perfection. Brings enough layers of complexity to be taken seriously yet is enjoyable and focused without thinking too much about it. A great value at around $20. Buying more as I type this. Recommendation: Crack this one open with friends who are looking to enjoy a flavorful delicious wine. I think this label is poised for consistent success in the Pinot Noir category going forward. Definitely one to watch. Further Reading: In 2008 Belle Glos made three vineyard designated Pinot Noirs. Here's a write-up I did comparing their Las Alturas Pinot Noir to an outstanding Pinot Noir from Oregon. Question of the Day: What are some of your favorite sub-$20 Pinot Noir producers? 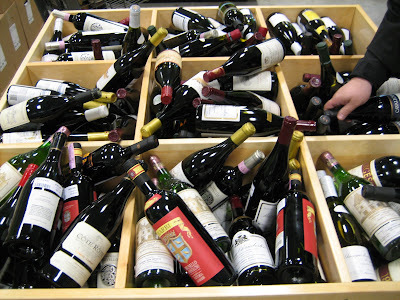 On Sunday May 23rd, 2010 from 1-5p Bin Ends Wine is having a fine wine flea market. This is a free event where you get to taste dozens of wines available for purchase. Insider Tip: I hear they'll have a nice Stag's Leap Cellars Merlot at a great price. Additionally, expect a healthy dose of summer-friendly wines like Sauvignon Blanc, Chardonnay and Rosé. Each summer when I was growing up, we'd travel back to visit family in the Chicago area. One of my favorite stops was visiting my cousin Tom because, in addition to being part of a really fun family, he always had such an interesting collection of sports memorabilia and apparel. These treasures were sourced from print catalogs from far-off places. Things like old caps from our beloved White Sox, Blackhawks jerseys, and minor league caps from teams like the Carolina Mudcats- really obscure stuff. These catalogs were great. 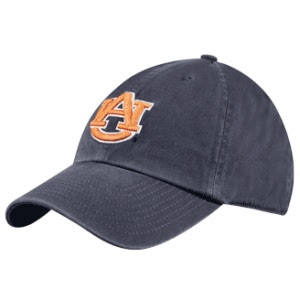 I mean, where else could you get an Auburn Tigers baseball cap for no reason in particular other than liking the colors? This was before e-commerce was a viable channel, so there was something especially fun about the treasure hunt of it all. A small set of hyper-focused retailers meeting market demand from consumers with hyper-specific interests. The wine world can be so similar. The Internet has made it much easier to find specialty items, but wine hunting is now one of my favorite hobbies. 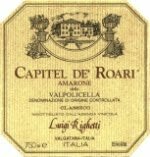 Small production wineries producing vintage bottles, obscure retailers, and an interest on my part in finding certain wines. Add in the complexities of interstate shipping laws and it's even more challenging. I think I might just pick up a new Auburn cap while I'm at it. The one pictured at the top of this piece looks pretty nice. 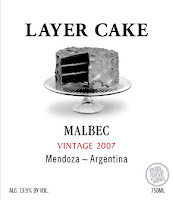 Whem Robert Parker dropped a 91 point rating on the $15 2008 Layer Cake Malbec I was surprised. Not because it's hard for such an affordable wine to get a 90+ point rating, but because I thought the most recent Layer Cake wine I had was lousy. The other was the 2007 Layer Cake Shiraz and I nearly swore off the brand after noting that the "Stew-like aromas and flavors suppress the fruit as if gorillas have overturned an army camp and are holding those normally in charge hostage." Against that backdrop, I was on the fence whether to buy a bottle of Layer Cake Malbec when I saw it recently. I find Malbec to be a tricky category in a unique way in terms of finding value. It's relatively easy to find really good Malbec for under $15 from Argentina. But that doesn't mean you can walk into a wine shop and every $10 Malbec is going to be taste good. Brands like Altos Las Hormigas, Pascual Toso and Luigi Bosca come to mind as ones frequently mentioned to seek out for value. On the nose, this Malbec offers just a hint of what's to come on the palate. Aromatically, I picked up on just a hint of iron, beef jerky, and dark brambly berries. 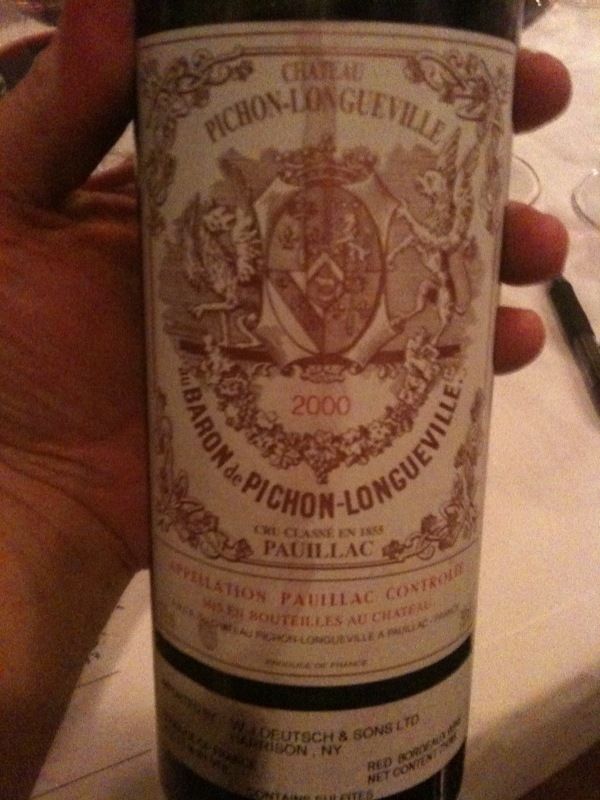 However, the attack on the palate is where this wine really excels. A dazzling array of ultra-vibrant, clean, delicious fruit is immediately present, accompanied by a respectable dose of acidity. Tannins are silky and non-grating. A long pleasant finish. A thoroughly enjoyable full-bodied wine. Question the Day: Who are some of your favorite Malbec producers? Offers to buy 2009 red Bordeaux on futures are arriving in my inbox on a daily basis. Although I'm skeptical of the hype surrounding this yet-to-be-released vintage, the quality-to-price ratio of these wines is impressive. Assessed simply by the Wine Spectator/Wine Advocate range derived from barrel tasting relative to the prices the wines are being offered, it appears there are some values that eclipse even the vaunted 2005 vintage. I don't claim to be an expert on buying Bordeaux. Far from it. It's a highly confusing category on a number of levels and these 2009s will likely be only the second vintage I buy more than a few bottles of. I haven't bought any Bordeaux since 2005. I guess I'm fundamentally adverse to buying futures in general. Shelling out money now for wine that's not going to arrive for a couple of years seems risky to me. The retailer could go out of business. Further, it feels like buying into a timeshare: Although I'm pretty sure I'll be up for a vacation or some nice Bordeaux in a couple years I like to keep my options open. But more than anything, it's nice to get a feel for what you're buying before you commit to it. With Bordeaux, however, this can be tricky because the wines are long-lived and therefore are just entering their optimal drinking window somewhere around 10 years after the grapes are harvested. That means, roughly speaking, that the 2000s are just now becoming ready to drink. Depending on which part of Bordeaux we're talking about, the 2000 vintage was even more highly rated by the pros than 2005. Keep that in mind next time someone tells you that 2009 is the vintage of the century of even the decade. There may be better buying opportunities in back vintages that are ready to drink. We're on at least our 4th "Vintage of the Century! TM" and we're only 10 years into it. With that in mind, it was with great interest that I attended a tasting of some choice 2000 Bordeaux at a friend's home recently. One of the wines in particular was so good I had a hard time concentrating on the other 6 in the line-up, which is quite a feat given that all of the wines were outstanding in their own right. Head on over to Corkd to hear more about the tasting and see which wine in particular I was so impressed with. I'd love to hear your thoughts on the current Bordeaux market. Are you buying futures? Playing wait and see? Not interested in the category at all? Every once in a while an event comes along that combines 2 or more things I'm passionate about. This event is one such occasion. Please join The Wine Cellar in supporting Team Cruzin' for Susan in the North Shore Cancer Walk for an evening of wine tasting. For a donation of $20 or more you'll get to taste more than 50 wines from around the world. Especially with Mother's Day fresh in our minds over this past weekend, we're unfortunately reminded that cancer is a disease that's affected far too many friends and loved ones. This event provides us with a great opportunity to support the North Shore Medical Center's Cancer programs. It's great to see The Wine Cellar supporting the community this way. If you visit The Wine Cellar at their Massachusetts locations within the BJ's Warehouse locations in Stoneham and Danvers you might not recognize they're a separate entity from the warehouse club. Sure they've got great prices on wine and a limited-SKU model but that's where the similarities between their business model and Costco end. The Wine Cellar is as good a friend to the local wine community as any retailer in the area. Let's do our best to join them in supporting this excellent cause. Questions? Follow @WineCellarsMA on Twitter and hit 'em up. As I mentioned earlier this week, Wine ConneXtion is having a Spring Grand Tasting Saturday. Read more here. Bin Ends is celebrating their 2nd anniversary with 5% off any purchase of six or more bottles. Where are you shopping for wine this weekend? Last weekend I attended a great tasting at my friend and fellow Boston-area wine blogger Adam Japko's home. The tasting started off with a flight of 6 Viogniers (pronounced vee-ohn-yay) from around the world which gave us all a great chance to see what this grape has to offer. The wines weren't my favorite. Although there was a decent amount of variety in the wines we tasted, there was something in the flavor profile of most that I just didn't like. They were kind of sticky with florally aromas that in some cases reminded me of dishwashing detergent. As I went to write-up my thoughts on the tasting, I thought about how some of my favorite wines use Viognier in a supporting role. The ever-reliable Pine Ridge Chenin Blanc-Viognier has been one of my favorite summer whites the past few vintages and the 90+ Cellars Shiraz-Viognier was the crowd favorite at the recent Wine Riot. So I started thinking about consummate support actors and I thought of an actor from the movie The American President. I could see his face as clear as day but when I consulted the IMDb page for the movie I realized Martin Sheen played the president's right hand man. I thought I must be thinking of some other presidential movie so I started wandering around the web looking for consummate support actors. It took me 2 days before I realized who I was thinking of! Head on over to Corkd to read more on my thoughts on these Viogniers and be sure to check out the link to David Paymer's bio at the bottom of the page. I hope you'll agree that you've seen him in tons of movies over the years, and I'd love to hear your thoughts on whether Viognier is ready to play a leading role. 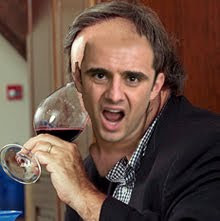 Oh- I don't want you to think Adam served up lousy wines to us that night. These were just a warm-up to some of the most incredible wines I've ever had the privilege of tasting. Check back next week to hear more about the second flight.